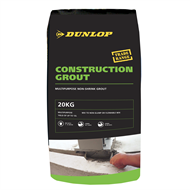 Dunlop Construction Grout is a general purpose high strength grout that can be mixed to a non-slump or flowable mix suitable for a wide range of projects. 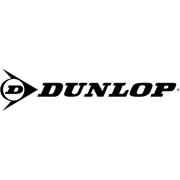 This cement based formulation is suitable for applications where shrinkage is not tolerated and high compressive and flexural strength is required. 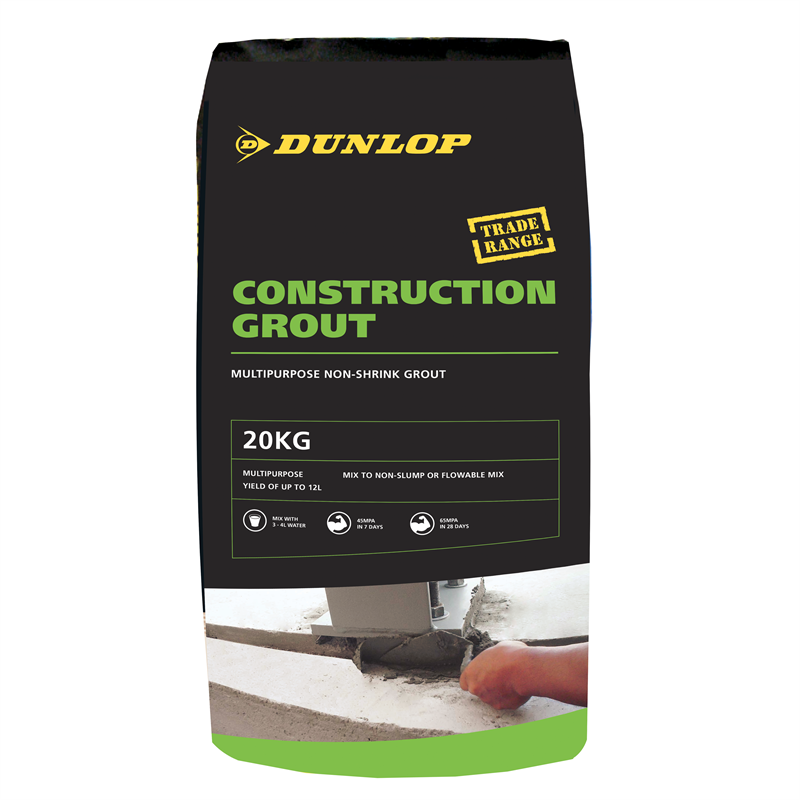 Multipurpose construction grout for grouting of machine bases, column bases, anchor bolts, precast panels, underpinning and more.